In this article, today I’m going to discuss at length about response strategies to the negative risks. Negative risks are commonly referred to as threats. The five basic strategies to deal with negative risks or threats are Escalate, Avoid, Transfer, Mitigate and Accept. Risk strategy is applied on the basis of the risk exposure. Now, how do you evaluate risk exposure, you do it on the basis of risk probability and its impact on the project objectives? ‘Avoid’ and ‘mitigation’ strategies are usually effective for critical risks where risk exposure is more than risk threshold agreed for the project, while ‘transfer’ and ‘accept’ are usually good strategies for less critical threats. Risks identified at an early stage can be avoided by improving communication or acquiring skills. Eliminates the probability of risk events and thus removes risk from the risk register. Implemented in critical risks which have a substantial impact on the viability of complete project. Project teams generally use this as a first response strategy for critical risks. The idea is to try to avoid as many critical risks as possible. Reduces the probability and/or impact of a threat to bring it within the acceptable threshold limits. A hands-on approach to lower the criticality of risk. Project team implements mitigate strategy to critical risks. Normally involves modifying the project management plan, like adding activities in project schedule or adding scope of the project. It does not remove risk from the risk register, instead brings down the criticality level of the given risk. The responsibility of the risk gets transferred to another party. This however does not eliminate the risk. Risk transfer requires paying a risk premium as another party is managing the risk. Involves tools like insurance, performance bonds, warranties, guarantees, etc. You may identify secondary risks while doing the transfer. For example, transfer of the risk involves guarantees and you may identify new risk, what if vendor defaults the terms of the guarantee. Used normally in case of less critical risks. Here, it is very important to understand that risk acceptance can be either active or passive. Adopted for non critical risks since it is not feasible or cost-effective to avoid, mitigate or transfer all risk. The identified risk remains in risk register and there is no change in its risk exposure. In case of active acceptance, the team identifies the warning signals for the given risk, and implements the contingency plans in time. Hope, by now you must have understood what all negative risk response strategies we have. Risk response strategy is a very scoring topic from PMP® exam point. It is crucial to know that the identification of risk response strategy is not a one time activity rather in each risk review meeting team looks at the risk register and reassess the probability and the impacts of the risk, and based on this reassessment, the team may identify different response strategy for a given risk. Escalate: Inform your parents or spouse about it. Accept: At the onset of smoking habit, you accept the risk. Transfer: When you get conscious of its hazards, you buy an insurance cover to ease of medical cost. 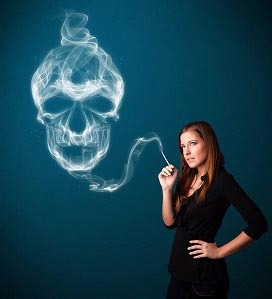 Mitigate: When negative consequences of the smoking starts appearing, you tend to reduce the intake. Avoid: On the arrival of the doctor’s warning, that you have crossed the threshold and life is at risk, you jump on ‘avoid’ strategy. I’m sure I have answered all your questions on the negative risk response strategies. You can join the discussion on the same in our Discussion Forum . You can also log into our YouTube channel watch the videos on the related topics. thousand thanks because many new ideas has been discovered.